Why is it that in spite of all the health policy reforms, clinical practice innovations, increasing intersectoral interdependencies and new medical and information technologies, so little has changed in the way we research and evaluate health care? Don't these changes cry out for new ways of being studied and appraised? And don't our approaches to clinical practice innovation cry out for being reinvented too? Surely, we cannot continue to wheel out research and evaluation paradigms, improvement approaches and methods that were designed for 20th century problems and 20th century health care, and assume they will be able to make sense of the problems we experience and the care we provide in the 21st century? These changes necessitate a new paradigm of health service research, evaluation and improvement and this new model adopts approaches and methods that embrace complexity. The approaches and methods can account for the vicissitudes of front-line care, the activities of front-line staff and the experiences of patients and families - where care happens. Visualising Health Care Practice Improvement draws on years of video feedback research shaping an approach that enables not only a retrospective understanding but also a view into the future, of what might be possible. It presents the argument that change is not principally about adopting solutions from elsewhere but that it is conditional on people exploring whether proposed solutions suit existing habituations. It involves a process of exploration, discovery, secession and renewal. Health care managers, policy makers and shapers will find this book enlightening. It will also be empowering to all health care professionals and front-line staff. Preface. About the authors. List of contributors. Glossary. 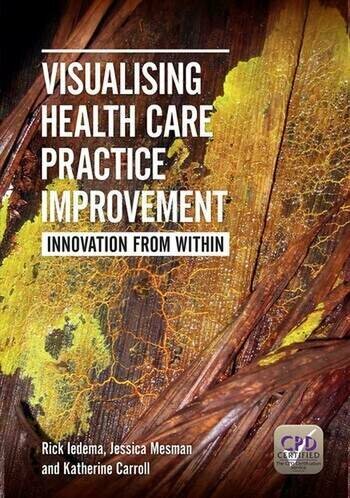 Healthcare practice improvement from within. The complexity of health care work. Does the complexity of care call for 'research complexity'? Exnovation: innovation from within. Improving medical handover using video methodology: two projects, two perspectives. Forms of feedback in video-reflexivity: some notes and observations on a Maastricht experiment. Improving postoperative handovers using video reflexivity: the Utrecht experience. Designing an ambulance paramedic to emergency triage staff handover protocol for New South Wales, Australia. Conclusion: improving one's own practices and relationships 'from within'. Bibliography. Index.